Red-headed Vulture (Sarcogyps calvus) Also known as the Asian King Vulture, this magnificent vulture was a very common sight in India a couple of decades ago. 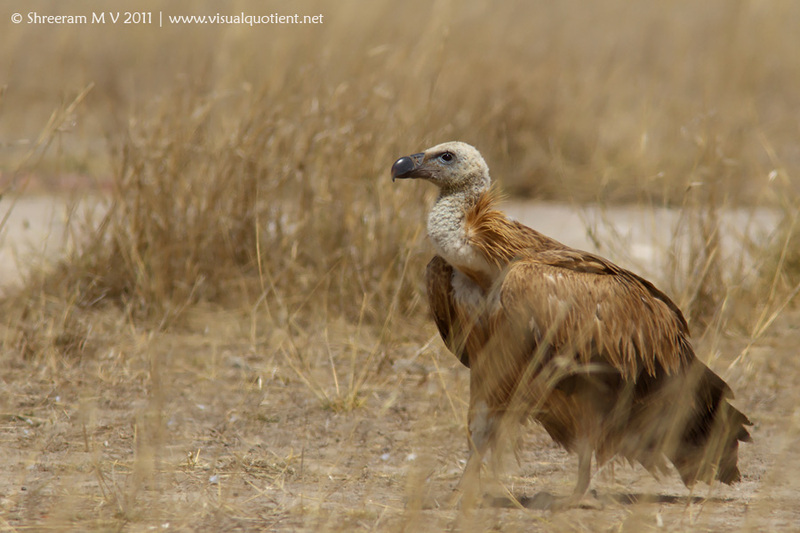 As with many other vulture species, their numbers have fallen (dramatically is an understatement) due to excessive use of the veterinary drug Diclofenac, which is highly poisonous for the birds. Juveniles, like this one, are invaluable for the survival of this species. This one would take around 3 to 4 years to assume adult plumage (pink head and dark wings). 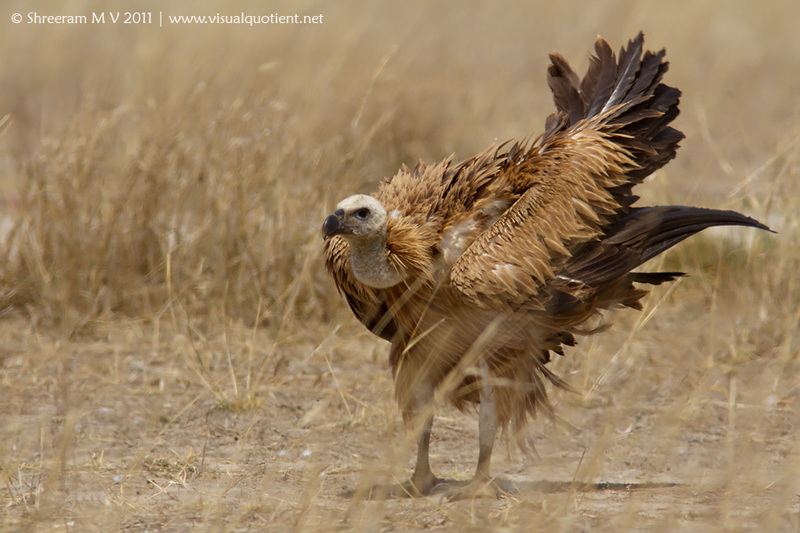 This bird was photographed in Tal Chapar Wildlife Sanctuary on November 21, 2010. 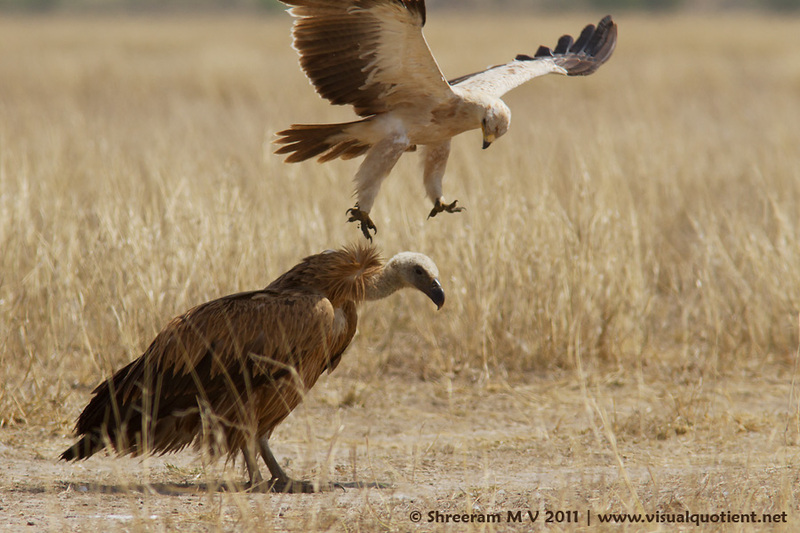 Griffon Vulture or Eurasian Griffon (Gyps fulvus) being mobbed by Tawny Eagle (Aquila rapax) The Griffon Vulture is a winter visitor to North India. Tawny Eagles are resident eagles, found mainly in open areas. 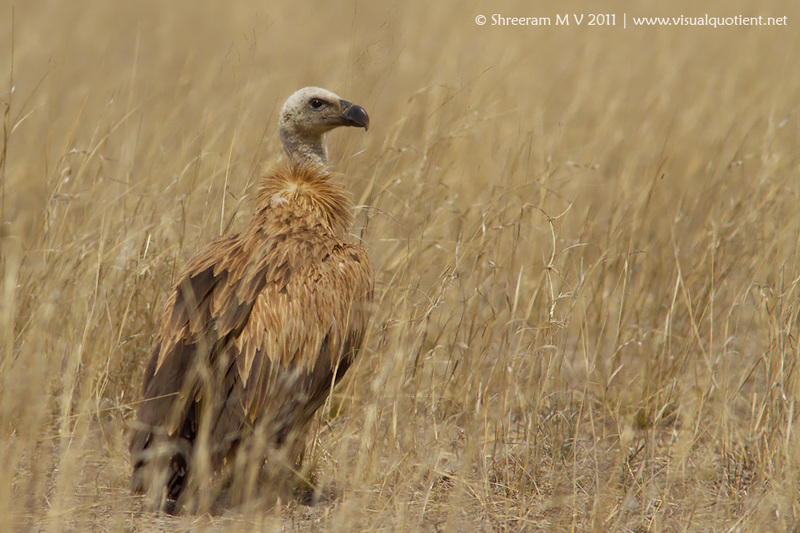 There birds were photographed in Tal Chapar Wildlife Sanctuary, Rajasthan on April 02, 2011. 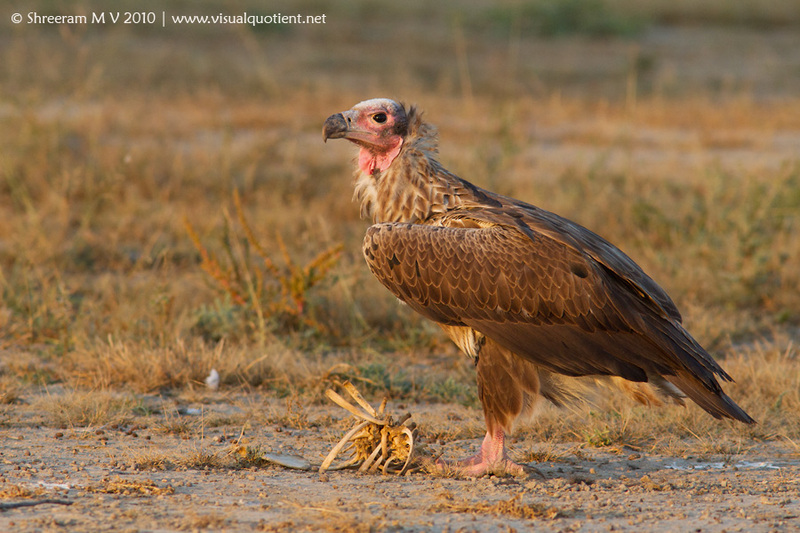 Griffon Vulture or Eurasian Griffon (Gyps fulvus) This is a winter visitor to North India. 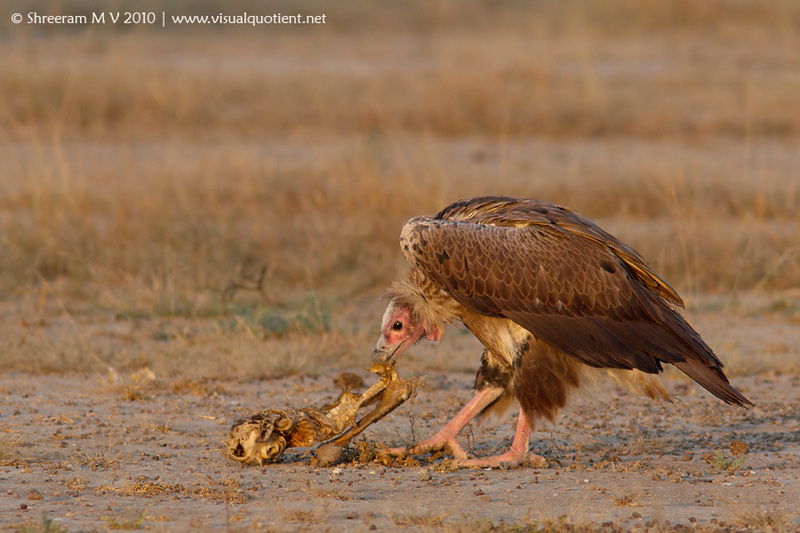 This bird was photographed in Tal Chapar Wildlife Sanctuary, Rajasthan on April 02, 2011.